When the temporary dam burst, and lake water flooded the plains, construction began in earnest on the Jackson Lake Dam. It expanded the natural Jackson Lake and harnessed the water to be used for agriculture in the area. The creation of this dam brought thousands of people into the surrounding area who were attracted by the new farming opportunities. A previously uninhabited area of Wyoming began to be settled. In 1907, after the success of the Minidoka Dam, construction began for a new dam on the Snake River in Wyoming. Benjamin Sheffield, who ran the Teton Lodge near where the dam is presently located, suggested the dam to the reclamation service to help limit spring runoff and to allow him to build more lodges for travelers and wealthy hunters. A temporary dam was constructed to hold water until other water storage needs for facilities could be calculated. This temporary dam was inefficient for agriculture, as it made the bottom lands too wet to build and for agriculture. In 1910, due to rot and poor maintenance, the temporary dam failed, flooding the nearby area. Workers of the Minidoka project filled the broken parts of the dam with dirt to mitigate the flow of water. Soon after, concrete was added to help strengthen the dam. Finally, it was determined necessary to build the planned permanent structure quickly to save money on upkeep. 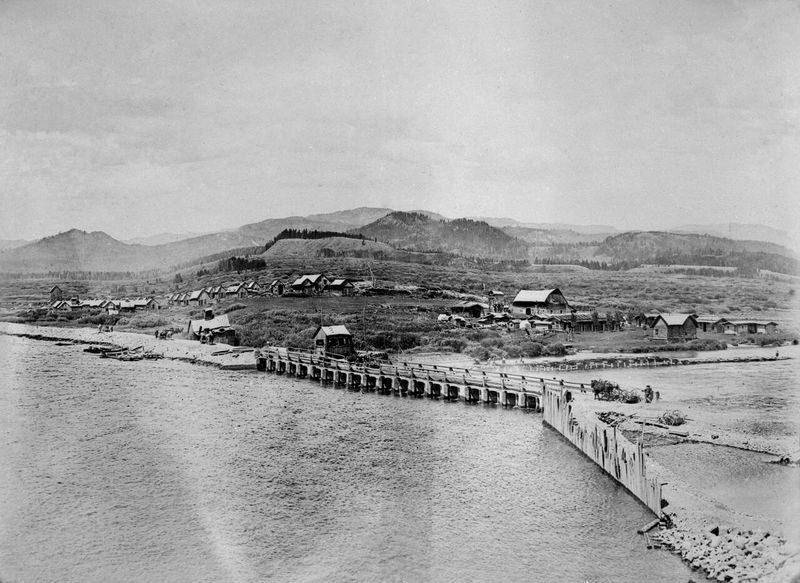 The construction of this dam led to the development of the surrounding area. The nearby city of Moran exploded with activity, filled with workers, engineers, and tourists, who came to see the engineering spectacle and to enjoy local hunting and visiting Yellowstone. Small towns popped up along the roads used by the construction crew that would help the progress of settling this area of Wyoming. Within the next decade, over 30,000 visitors a year came through this area, stabilizing the local economy. The purpose of this dam was to regulate the water level in the lake, in order to help promote farming in Idaho through irrigation. It was meant to ease pressure on the local homesteaders who were struggling to maintain their 160-acre farms without sufficient water. These homesteaders would be expected to pay back the cost of the dam within 10 years of its completion. 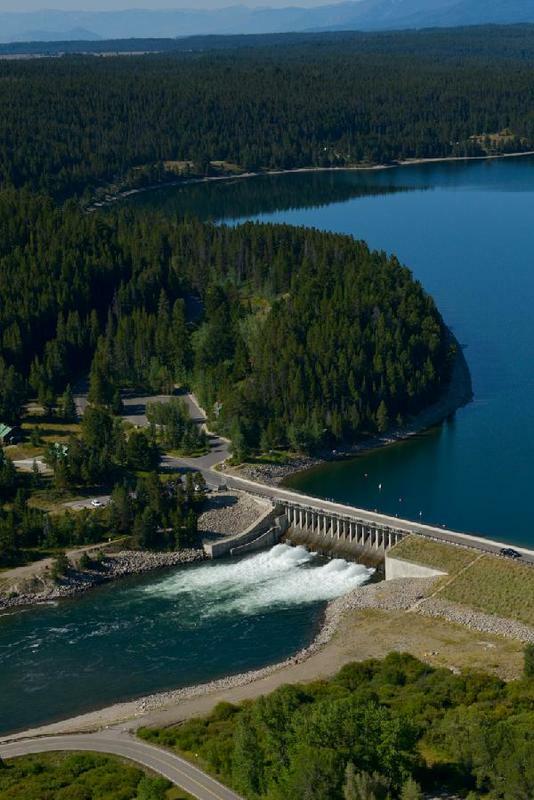 It was completed in 1916, creating a lake capable of storing 847,000 acre-feet of water. In 1977, the Bureau of Reclamation began renovations on the dam to strengthen the foundation in case of an earthquake. Most of the dam was completely replaced. This dam has no hydroelectric capabilities, although some recent proposals have called for the addition of a power plant to supply the nearby cities with cheaper electricity. The dam is about 8 miles long and over two miles long at its widest, including two large islands, Elk Island and Donoho point, and a number of smaller islands near the coast. It is stocked with many different breeds of trout as well as the native Snake River cutthroat trout and the mountain whitefish. It is one of the few lakes allowed for motorboat use, and the largest close to the Grand Teton. 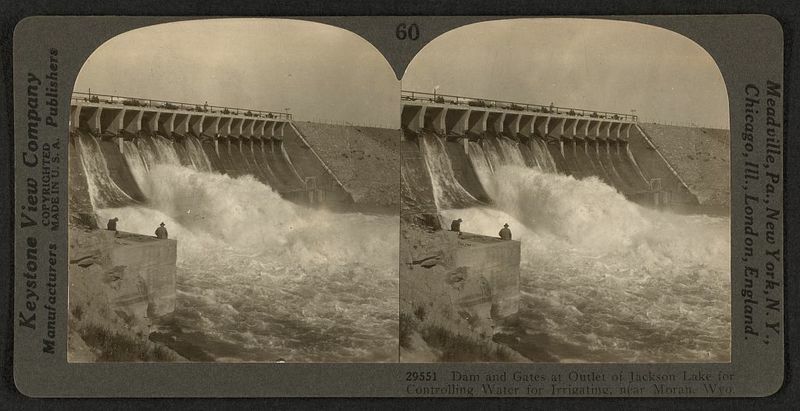 Josh Franzen, Brigham Young University, “The Jackson Lake Dam and Creating a Community,” Intermountain Histories, accessed April 20, 2019, https://www.intermountainhistories.org/items/show/80. Bureau of Reclamation, from Projects and Facilities. 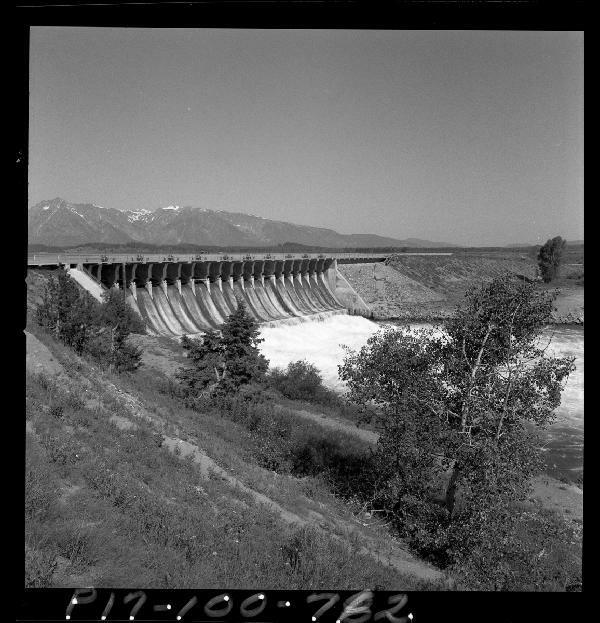 “Jackson Lake Dam,” available at https://www.usbr.gov/projects/index.php?id=162 Ford, Samantha, from Jackson Hole Historical Society & Museum. 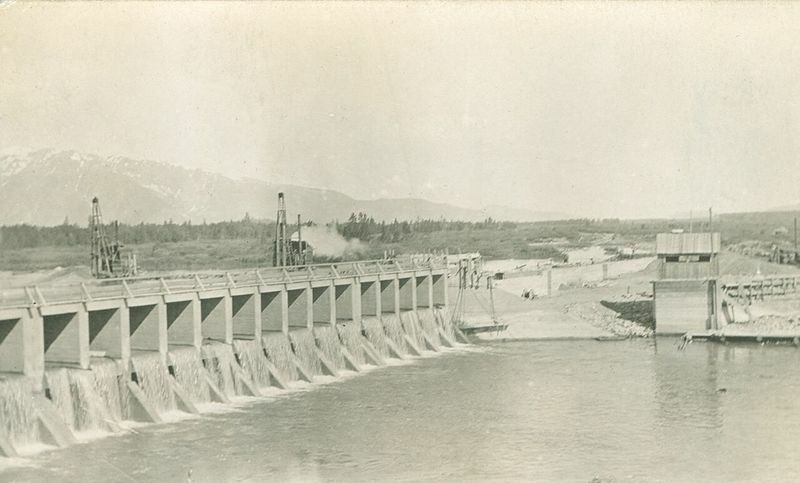 “Jackson Lake Dam,” available at http://jacksonholehistory.org/jackson-lake-dam/ Marston, Richard A., Mills, John D., Wrazien, David R., Bassett, Beau, Splinter, Dale K. Effects of Jackson Lake Dam on the Snake River and its floodplain, Grand Teton National Park, Wyoming, USA. Report. Geomorphology. 2005. Available at https://www.k-state.edu/geography/people/rmarston/Papers/Marston%20et%20al.%202005%20Snake%20River.pdf Stene, Eric A. Minidoka Project. Report. Bureau of Reclamation. 1997.